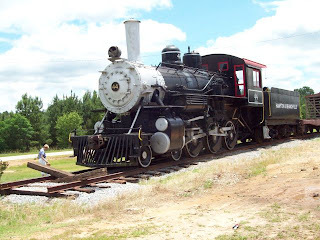 This train was a refurbished executive car, with an office/meeting room, a dining room, luxurious (for the time) bedrooms with adjoining bathrooms, and a kitchen area and sleeping quarters (not quite so luxurious) for the staff. 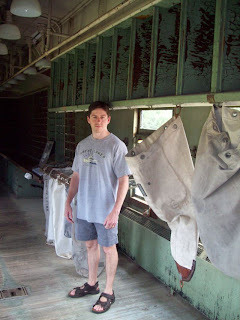 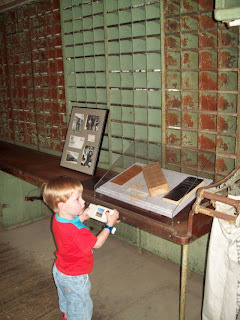 We also toured an old mail car, and saw how mail used to be transported and organized. 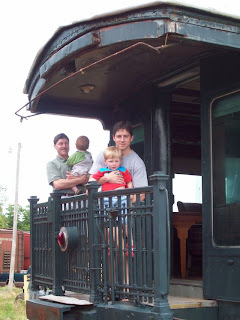 There were a variety of other types of trains to look at up close. 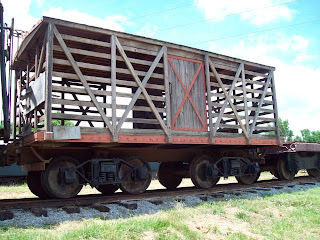 We saw this cattle car, some old Pullman coaches, and more passenger trains.